Our experienced crew will mow your lawn weekly, bi-weekly, monthly or as requested. Take your lawn to the next level with our fertilizer program. 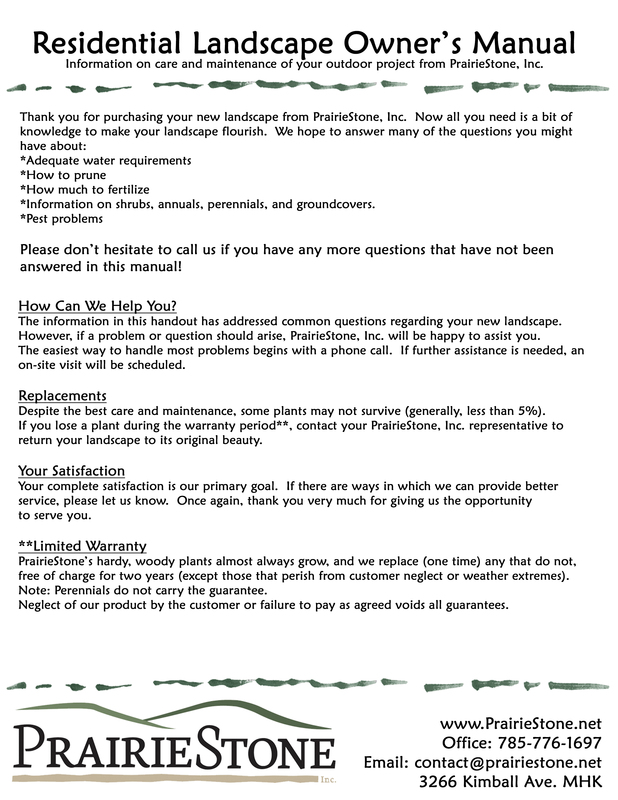 We will come out and put down applications throughout the year to make your lawn green and weed-free. Most shrubs will need some pruning to maintain a well kept appearance. Prompt and efficient, we will lay down ice melt when icy and remove snow when it accumulates. Bright colored annuals will make your property pop! 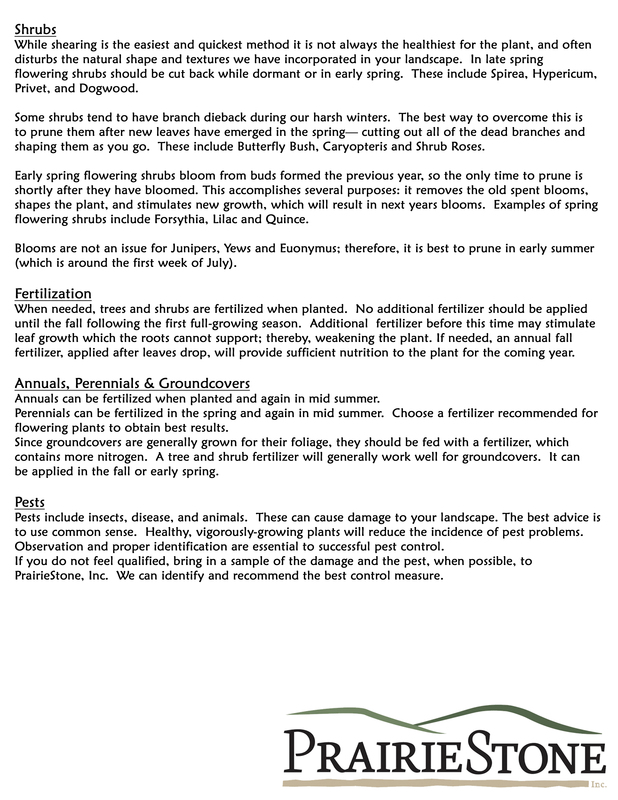 Click on the buttons below to download our Lawn & Landscape Care Guides. 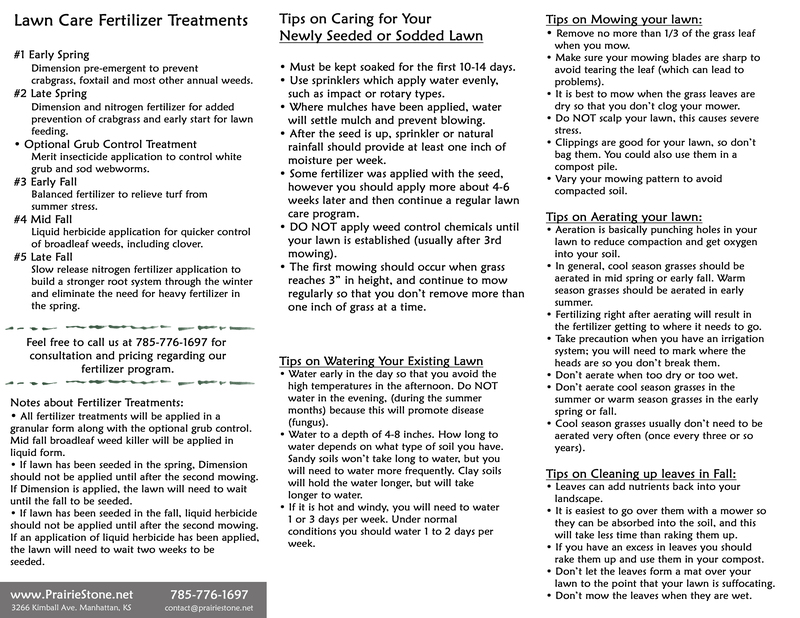 Lawn Guide includes information about our fertilizer program, tips on mowing, aerating, leaf clean up & watering. 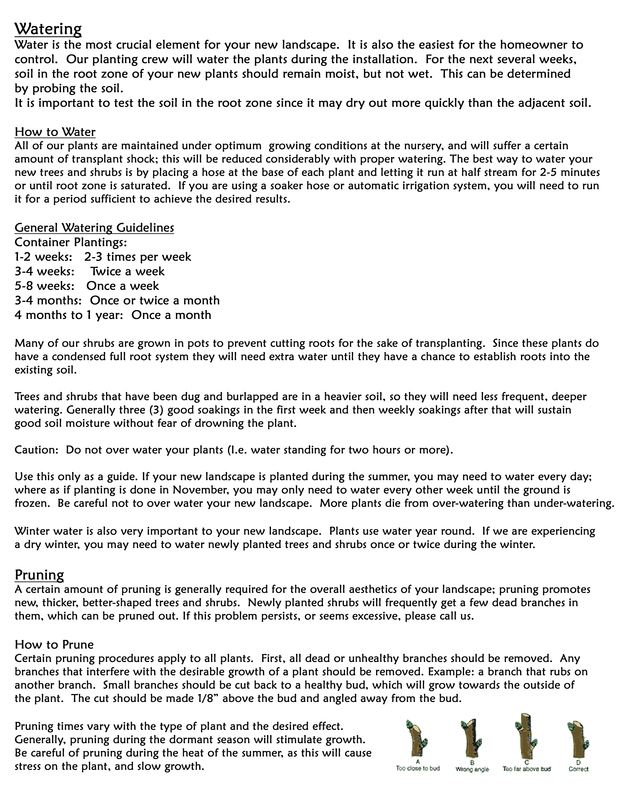 Landscape guide includes info on caring for your newly installed trees & shrubs. Copyright © 2018 Prairiestone,Inc - All Rights Reserved.